The underside of the panel where it is sandwiched against any other panels, is treated with a zinc based weldable primer. I hope this helps in keeping the rust out later, where it doesn't burn away anyway. 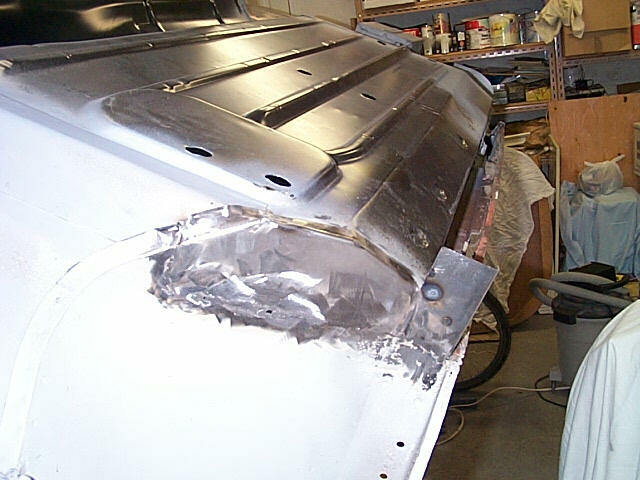 Here is the panel welded in place with the weld beads ground flat with the surrounding metal. The edge of the panel sticking up in the air will be cut to size when the outer sill is matched up. 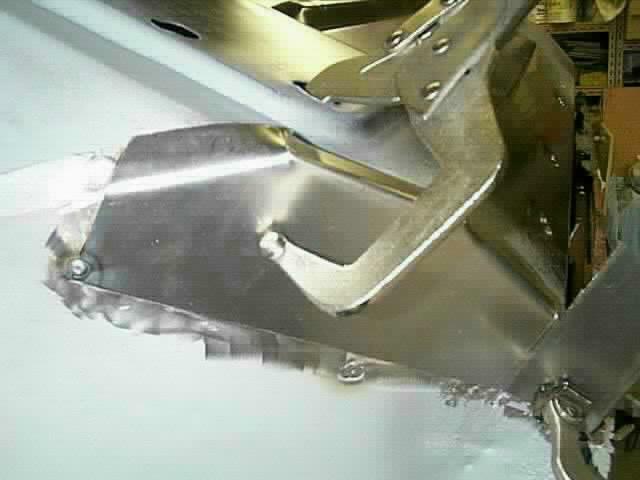 This will give an accurate fit, as the original metal was all rusted away, giving me nothing to compare to.